The ongoing conflict in CAR is both hindering and opening doors for God's kingdom. Pray for pastors and Bible translators who are unable to move freely and carry out the work God has given them, burdened by threats, actual persecution or fears for family members. Pray that their lives will shine with the light of the gospel in some very dark situations, and that they will be able to reach the people they want to minister to. Pray too for the biblical trauma healing work going on in CAR and that many will come to know God's healing power through this work. 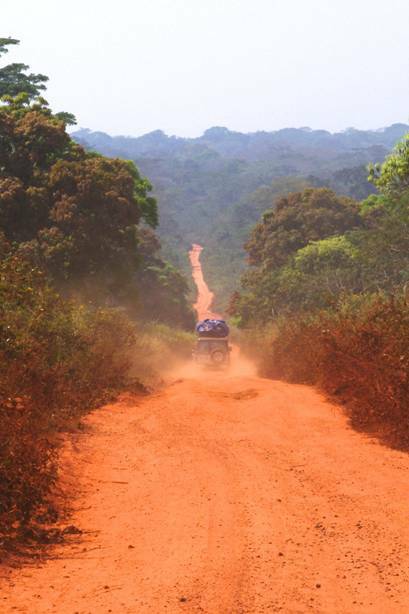 Pray for the funds to buy trustworthy and safe vehicles to transport the CAR Wycliffe translation (ACATBA) staff safely to remote but needy work locations and back. A recent trip to the northwestern part of the country for a trauma healing workshop saw the team finally arrive at 3.30am, in a third rented truck, as the first two had broken down. Road conditions in CAR are punishing enough for travellers as it is. Please pray for this major need to be met. The Gbeya, Kabba and Ngbugu translators are facing major spiritual attack as they prepare New Testaments for typesetting after over 20 years’ work. Pray for God’s protection over them. As the translators visit churches and community leaders to share the vision of using scriptures in their languages, pray that the leaders they meet with become excited about encouraging others to read God’s word in their language. Most of all, pray that the Gbeya, Kabba and Ngbugu people will have a deposit of hope placed in their hearts as they hear more about the life-changing possibilities of God’s word coming in the languages they understand best of all. This landlocked state near the Sahara Desert is still a pioneer missions country, with two-thirds of the population unreached. There are less than 1% evangelical believers here and breakthrough has not yet been seen. In the middle of the bush a little two-room concrete building is being renovated with solar panels on the roof; there is no electricity for miles around. This will be a radio station aimed at reaching 10,000 people that haven’t yet heard the good news of Jesus. Pray for many to respond as they hear the gospel for the first time. 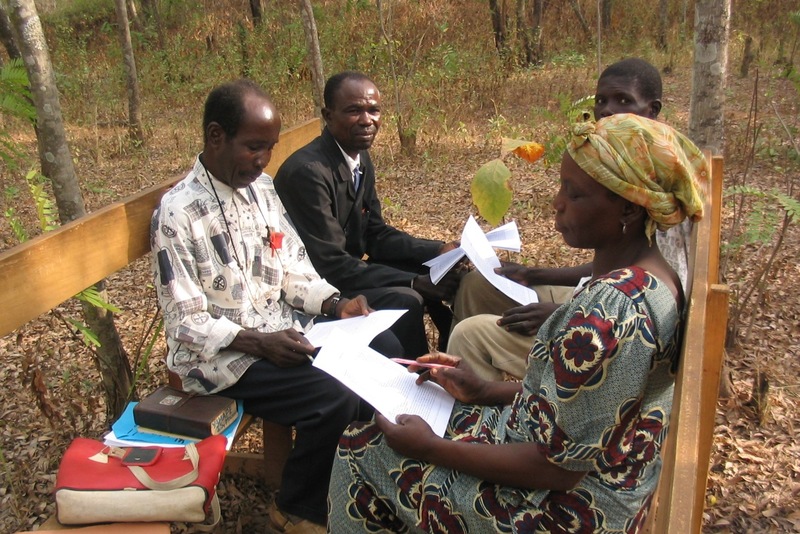 All Bible translation in the Central African Republic is done by local, first-language speakers of the various languages. Many of these teams haven't been able to live and work in their own home areas for years because of the political instability in their country, impacting their work, and ultimately hindering access to God's word. The translators are eager to be with their own language communities, to raise awareness of the new translations - but how, when travel is dangerous, difficult, and expensive? Please pray for this problem to be overcome so that these communities will be ready and eager to use the scriptures when they become available! An answer to prayer; we thank God that the security issues that occurred in Bangui in April and May seem largely to have been brought under control, although there are still rumours of killings and violence in parts of the city. Thank God for his protection on our colleagues there. Further east, there are more serious problems again, so please pray for all who have been caught up in the violence there, have lost loved ones, and have been forced to flee their homes. Pray for peace to come. Our team in the Central African Republic ended the year with a long list of answered 'impossible' prayers. We thank him for the numerous stories of the way people's lives have been touched by hearing him speak to them in their own language. We are gravely concerned about the recent resurgence of violent attacks in different parts of the country, and the resultant flood of yet more displaced people. Please pray for something better in CAR than just an end to bloodshed and violence: for real, lasting peace, justice, jobs, re-building, hope and growth. Please also pray that God would weave the right conditions together so that the Bible translation task can be achieved in our lifetime. After almost five years of atrocities a God-given solution is needed so that a meaningful and lasting peace can be built. Bible translation is hampered by the security situation, as translators have to live outside their language areas for their own safety, facing dangerous travel when they visit. If they are not often enough in their home area there's a risk of the translation seeming foreign to the language community when it finally becomes available. Please pray for the local people eagerly awaiting these New Testaments. Several languages of CAR are scheduled to finish translation soon and people have testified to the impact of even the portions available so far in the local languages. We are preparing for a Children’s Trauma Healing Workshop which will take place in Bangui, in August this year. Please pray for the selection of the teachers - we would like to use half of the teachers we trained two years ago and then take in a set of new teachers who will work with the experienced teachers in pairs. Pray also for the children, coming from different camps and orphanages, that this will be a time of learning, growing and healing after the traumas of the war. 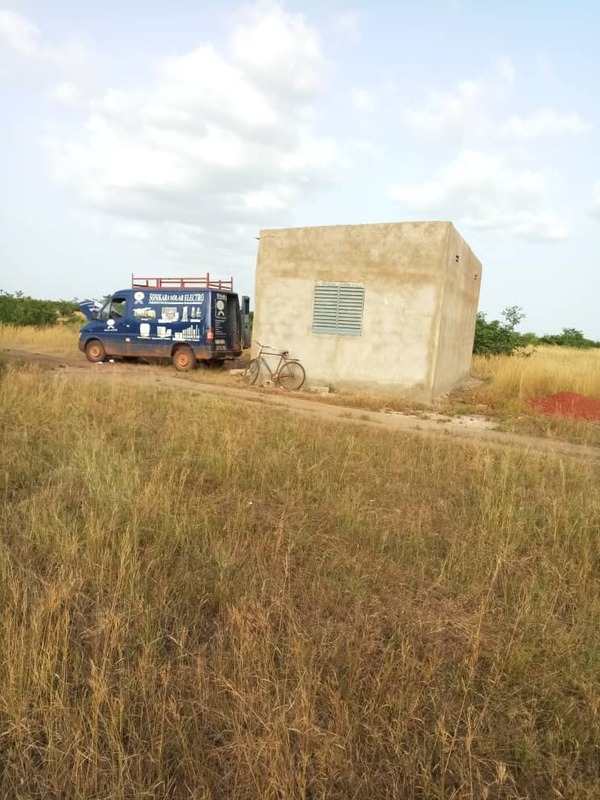 While the Mpyemo Bible translators were staying in the capital city of the Central African Republic, they had heard rumours of armed men in their village, and couldn’t get a mobile phone connection with home. “Why is this happening again?” they asked. Reading Matthew 24, they wondered if the end times had arrived! But as they continued, Jesus’ words spoke to them, bringing comfort in their difficult situation. Pray for encouragement to remain steady in their faith as they wait for his return. Rural life in CAR is now fragile and precarious because of the war. There are many stories about how having even a tiny pamphlet of draft scripture verses in their own language has helped people through the darkest of experiences and brought them back to seeking or walking with God. Please pray for those receiving these scriptures that they might be encouraged by the Word of God in their darkest times. After the destructive years of the civil war in the Central African Republic infrastructure is worse than ever. In order for Bible translation work to move forwards some mundane needs have to be met. We need city power to charge up computer batteries; the back-up generator at the office to work; for training of translators despite the limitations and for no deaths or major illnesses. Please cover these in prayer as we seek to get the word out to those in the Central African Republic. As the sun sets and the darkness descends, fear of violence drives people off the streets of the CAR capital. More than 2,000 of them arrive at a theological college known as FATEB, where classrooms become dormitories for dozens of frightened people. In a year of conflict following a coup, thousands of people have been killed in the CAR and some 714,000 have been made homeless. Another 250,000 have fled to neighbouring countries such as Chad, Cameroon and Congo. Pray for an end to the violence and for the efforts to provide food and shelter for people living in fear. Conflict has left thousands dead and driven nearly a million people from their homes in the CAR - the majority to poorly equipped camps. More than half of the country’s 4.6 million population are in urgent need of food, water, sanitation and healthcare. The rainy season has also brought the danger of water borne diseases spreading. Tearfund has set up a new programme in the CAR to help the most vulnerable affected by the conflict. They’ve already distributed food, drinking water and everyday essentials to thousands of people who have been displaced. But the need is great and we want to help more in this desperately poor country. Pastor Joseph is one of more than 4,600 people now living in a displacement camp in Bangui, Central African Republic. Pastor Joseph’s journey to the camp began in December last year. “When we were running from the gunfire, I saw a young man who sang in my church choir killed in front of my eyes. He was 13. That day I saw seven people die,” he recalls. Such horrors underline to Pastor Joseph the need for the church to forge reconciliation although he understands how difficult that will be while there is still blood running in the streets. Pray for Catherine Samba-Panza, the new Interim President of CAR - for wisdom, protection, perseverance and a good team around her as she starts working for peace. There is hope after her election, but she has taken on a hard role as many people have been killed and more than 800,000 people are still displaced. Pray too that the international community will keep its promise to ensure humanitarian and peacekeeping work continues in CAR, so that the vulnerable can be protected and peace restored. Already besieged by grinding poverty, the Central African Republic (CAR) experienced a coup back in March and the new leaders face the challenges of running the country and trying to rein in renegade members of their rebel alliance. During the initial violence a Christian radio station in Berberati was ransacked and one of the staff was shot and killed. Thankfully, two of their transmitters were untouched by the looters, but much of the broadcasting equipment was lost. Pray for the radio team as they try to rebuild the station and get their signal back on the air. The station’s founder said, “The broadcasts will help calm the people down”. With an economy based on subsistence agriculture and functional literacy at less than 50%, Central African Republic (CAR) is one of the least developed countries in Africa. However, the country has many natural resources that, if properly managed, could boost the economy. Of more than 80 ethnic groups, seven are considered unreached with the gospel. Very little Christian work is being done among the Arab and Hausa immigrants, and Islam is making rapid inroads. Pray for more Christians to share the love and salvation Jesus offers, for religious freedom to continue and for righteousness to prevail in government and business so the people can rise above their poverty. Tweets about from:BBCBreaking OR:ReutersAfrica OR:BBCAfrica OR: OR from:Reuters OR from:AJELive OR from:AP AND "Central African Republic"